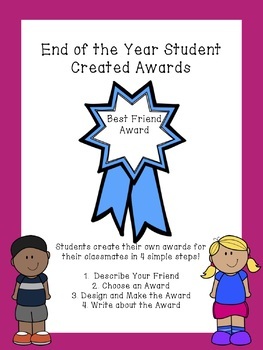 It also includes a paper for students to use as their final copy explaining why they chose the award. 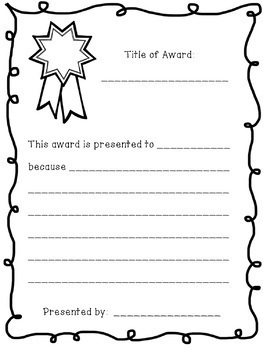 They can give that paper to their friend when they present their award. 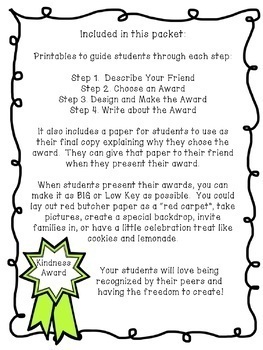 When students present their awards, you can make it as BIG or Low Key as possible. 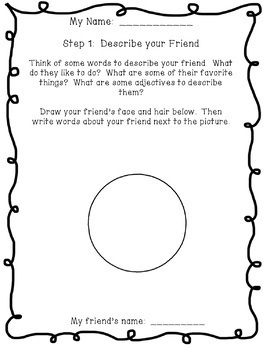 You could lay out red butcher paper as a “red carpet”, take pictures, create a special backdrop, invite families in, or have a little celebration treat like cookies and lemonade.